So you’ve read one of the dozens of articles in the news this month talking about how more people are making and buying bone broth and it’s the new coffee. But nobody’s given you a compelling reason to try this strange-sounding soup. After all, it’s the same product you buy in cardboard packages at the store to cook meals with, right? There’s a big difference between the sodium-heavy and preservative-laden concoctions the leading brands are selling, and the slowly simmered, real broth that’s taking the food world by storm. For one, there are no preservatives. Second, at least at Bare Bones we use bones only from grass-fed, organic and pastured animals — meaning we’re not leaching nasty hormones or lead out of the cartilage and marrow. Finally, bone broth is loaded with minerals and other nutrients essential to life, including collagen, calcium, magnesuim, phosphorous, silicon, sulphur and more. Here are 10 benefits of bone broth that we hope will make you consider adding Bare Bones Broth to your meals and snacks. Leaky gut syndrome, or a damaged intestinal wall, allows harmful undigested or partially digested molecules directly into the bloodstream and has been linked to a number of pretty common diseases. As The Daily Beast pointed out recently, those include asthma, acne, diabetes, rheumatoid arthritis, irritable bowel, kidney disease, psoriasis, eczema, depression, chronic fatigue syndrome and heart failure. More science here. Bare Bones Broth is brimming with collagen, which is basically like NuSkin for your wounded intestinal wall. It helps seal the gut and keep the toxins out of your bloodstream, while also working to rebuild it from the inside out. Studies, like this one by Japanese researchers, show that ingesting collagen (not just putting it on your skin) helps protect your skin against damaging effects of certain UV rays. Read: It helps prevent wrinkles and other sun damage. Real broth has a hefty dose of collagen extracted from the bones and connective tissue of animals. The gelatin in Bare Bones Broth is a valuable building block for strong and beautiful hair. But you don’t have to take our word for it. Most people know that eating gelatin makes your bones and fingernails stronger. But did you know that eating 7 grams of gelatin a day can increase your nail strength by as much as five times? Dermatologist Dr. Zeev Pam has the details. You’ll be glad to know you don’t have to make pudding or jiggly fruit snacks to get your daily dose of gelatin. Bone broth has ridiculous amounts of it. One of the primary nutrients in broth is collagen, which is great for cutting down on swelling and pain in your joints if you have arthritis and generally improving joint mobility for the rest of us, according to this 2002 study published in the International Journal of Pharmacological Research. The glycine found in abundance in Bare Bones Broth has been billed by researchers as “a new anti-inflammatory immunonutrient.” Read: It helps not only with arthritis, but muscle pain and other inflammation throughout your body, including in your renal (kidney), respiratory, cardiovascular and digestive systems. The glycine in bone broth helps your liver clean out toxins and even has prevented alcohol damage to the liver in some studies. It’s great for treating conditions like alcoholic hepatitis and helps protect the liver from the harmful effects of chemotherapy. Bare Bones Broth is packed with minerals and amino acids that fuel your body to rebuild stronger cells. It also boosts antioxidant activity, thanks again to that glycine, which is necessary for synthesizing glutathione and uric acid, two of the most critical endogenous antioxidants in the body. Despite its intimidating-sounding name, bone broth is pretty simple to incorporate into virtually any diet. Some people sip it to nourish and recharge after a tough workout. Others mix it into their morning smoothies. You can glaze vegetables with it, make soups and stews with it, and basically use it instead of water in almost any recipe. In fact, we’ve written an entire cookbook on ways to add bone broth to your diet, and have scores of free recipes on our blog for you to peruse and try. You’ll be amazed at how easy it is to start infusing every meal with the benefits of Bare Bones Broth. This one is subjective, but really. Once you try it with your favorite seasonings, you’ll probably be jonesing for your next bone broth fix with the rest of us. With an endless list of benefits, what are you waiting for? Try Bare Bones Broth today! Disclaimer: The health information on this site is purely informational and is not intended to be a substitute for medical advice. Should you have a medical condition please contact your physician or other health care professional. 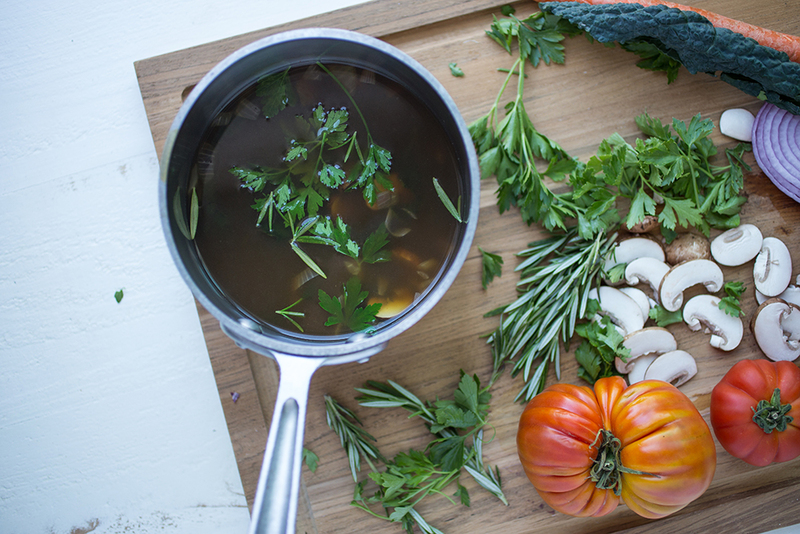 Is your bone broth good for people with kidney disease? Many of our customers say they use Bare Bones to help combat kidney disease, but we always recommend consulting with a doctor before consuming large quantities of any one food. I just read a comment on the national kidney site, not recommended. Hi Karen, do you mind sharing a link to this info? Thanks! Hi Ryan, Naturopath recommended grass fed beef bone broth for my son with fsgs, but the KidneyFoundation sees it as unproven “food fad.” https://www.kidney.org/content/food-fads–are-they-safe. Quote: “A big concern with heavy consumption of bone broth is that lead accumulates in the bones of animals, so the lead concentration in bone broth can reach 9.5 ug/Liter.” High lead not great for kidney disease. I am not sure and am doing more research. Check the http://www.inspire.com/groups/nephrotic-syndrome-and-fsgs (there are lots of different specific chronic illnesses). Excellent, helpful posts. Could ask there. Hi Julie, thanks for starting a discussion on this. We are familiar with WAPF, and have read much of their content. We just had our broths tested for lead, and I will be publishing the results in the FAQs shortly, but I will share that our products were found to have less than .005 ppm, or .005 ug/Liter. Please say tuned for these results to be shared in full here on our website. While we are not medical professionals or scientists, we do put a lot of care into our ingredient sourcing and production processes to create the purest product we can. Don’t hesitate to reach out with any questions or concerns.